WALKING THE ROAD TO FREEDOM is the story of Belle, a slave in New York State who spoke Dutch. Did you know there were Dutch-speaking black slaves in New York?? 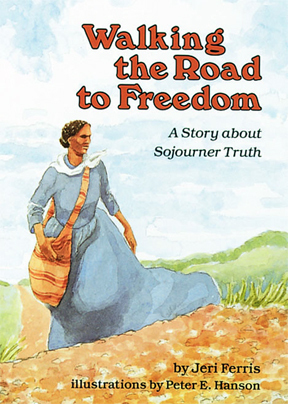 How did she get her beautiful new name, Sojourner Truth? And what about her famous "Ain't I a Woman?" speech?